Teresa Coronado learned to sail scows on her grandfather's knee, and has been sailing all boats in all weathers ever since. Teresa is crew on Eclipse in the Milwaukee Bay Womenâ€™s Sailing Organization Monday-night racing series, as well as skippering/crewing in the MCSC Sunday-morning series. She also recently competed in the Race to Alaska. She currently sails a Sunfish, a Butterfly, and an old Capri 13 on Lake Michigan when she isn't chartering on Lake Superior or in the BVI. After joining the Milwaukee Community Sailing Center nine years ago and learning about keelboats, she began sailing the loveable Ensign, too. 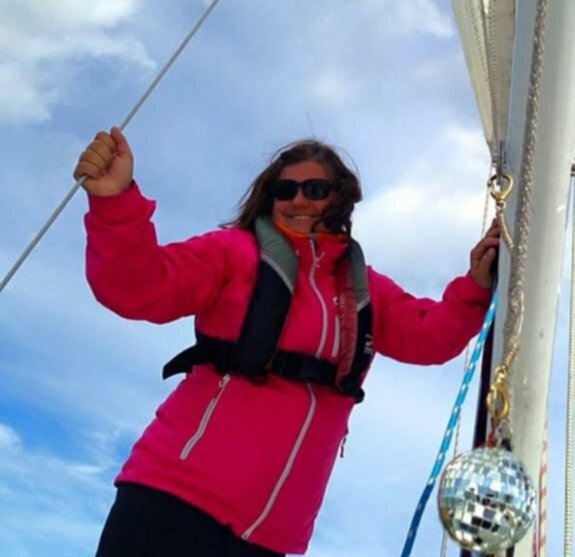 Teresaâ€™s certifications include: US Sailing Keelboat certification; AED/CPR/First Aid Infant, Child, Adult, Red Cross certification; US Sailing Level 1 Instructor certification; US Sailing REACH instructor certification. She also has a PhD in Early American Literature from the University of Oregon.